How Sensitive Is Earth’s Climate to Carbon Dioxide Pollution? A new study seeks to pin down how much global temperatures are likely to rise with a doubling of CO2 in the atmosphere compared to the pre-industrial era. It’s one of great question marks remaining in climate change studies: How touchy is the Earth’s thermostat? In scientific terms, that’s called “equilibrium climate sensitivity.” Roughly put, it’s how much the planet’s average temperature would go up if the amount of heat-trapping carbon dioxide in the atmosphere were to double. And with those levels already about halfway to that benchmark, it’s a figure that both researchers and policymakers want to have handy. The most recent comprehensive report on climate change from the United Nations has a wide range of possibilities, estimating temperatures would go up somewhere between 1.5 degrees to 4.5 degrees Celsius (2.7 to 8 degrees Fahrenheit) if we doubled the share of CO2 that existed before the Industrial Revolution. But a new study from British researchers says the range may be much narrower — and that may give the world a better chance of heading off the worst of the problem. The study uses variations in the year-to-year records of average temperatures to estimate a likely range of equilibrium at between 2.2 and 3.4°C over pre-industrial times. Peter Cox, the study’s lead author, told Seeker the new estimate reduces the odds that current worst-case scenarios will come to pass — while also suggesting the best case isn’t likely to happen, either. Cox and colleagues studied how much temperatures bounced around from year to year rather than follow the overall trend, which has been rising since the world started burning fossil fuels like coal and oil on a large scale. “Imagine you’ve got a weak spring and you give it a flick. It will have large oscillations and they’ll be very slow,” he said. “But if you have a strong spring, there will be short oscillations and it’ll be very fast.” By feeding those variations into computer models of Earth’s climate to gauge the results under different scenarios, they found the models that involved less sensitivity were more likely to match the observational records. Based on that, they estimated the chance of temperatures rising less than 1.5°C — the most optimistic goal of the 2015 Paris climate change agreement — at less than 3 percent. The odds of warming topping 4.5°C was less than 1 percent. But Forster noted that the new findings “must be interpreted carefully.” Global average temperatures already are running about 1°C over pre-industrial times, science agencies reported last week. 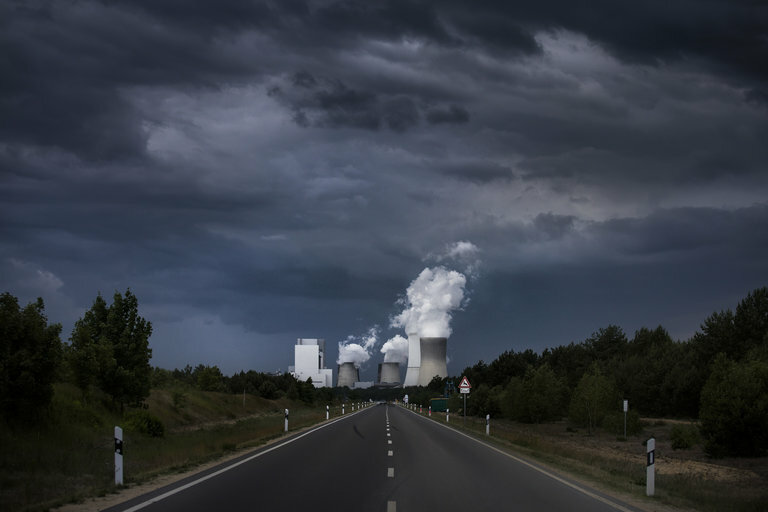 And even if countries meet their Paris pledges to cut carbon emissions, the world is likely to end up more than 3 degrees warmer by 2100, according to organizations that track those steps. And a leading US researcher, Penn State atmospheric scientist Michael Mann, told Seeker the Cox study doesn’t properly capture the effects of other influences. Airborne particles thrown aloft by volcanoes or the waxing and waning of El Niño, the Pacific Ocean warming trend that turbocharged global temperatures in 2015 and 2016, can produce more complicated effects than some models can capture, he said. Meanwhile, a December paper in Nature that looked at how well computer models projected today’s conditions found the most accurate ones tended to be the ones that project more warming in the future. Cox acknowledged concerns that his method was “very simplistic,” but said he’s planning a follow-up study aimed at backing up his conclusions. And he noted that the 2.8-degree midpoint of his study’s range isn’t far from the 3-degree halfway mark of the IPCC’s estimates, which date back to the 1990s.